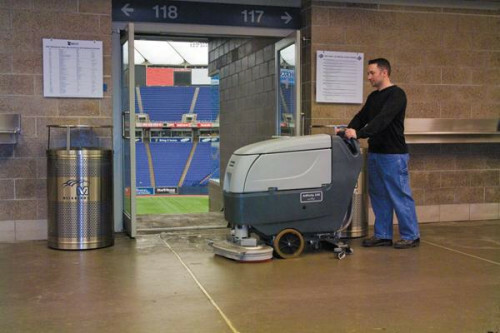 The Advance Adfinity is a compact industrial floor scrubber that cleans a 20 to 24 inch path and has 14.5 gallon solution and recovery tanks. 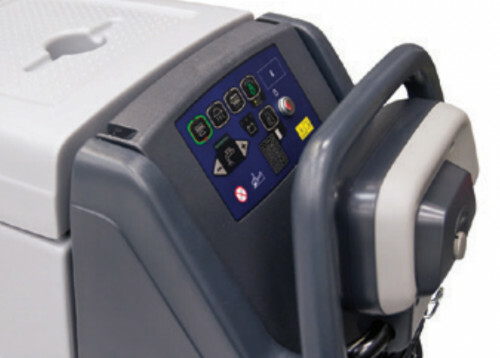 It utilizes a 24 volt battery system and onboard battery charger. The Adfinity is lightweight and very easy to maneuver with its traction drive propulsion system. It is available with the EcoFlex™ detergent dispensing system providing the most flexible cleaning platform available. This machine is best suited for tight areas or as a compliment for a larger machine so that you can complete detail cleaning. The Adfinity adheres to Advance's tools-free philosophy when it comes to daily maintenance tasks. The brushes can be easily removed for service, cleaning and rotation. The control system on the Adfinity is very intuitive as each button has an icon that clearly indicates its function. 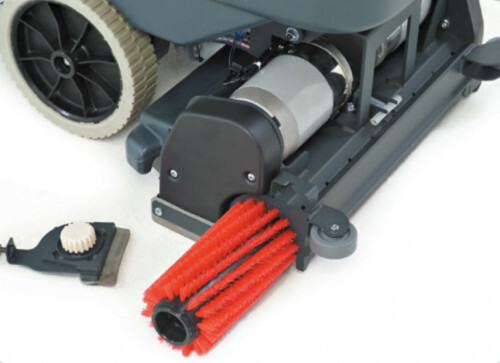 One-Touch™ operation is utilized on this scrubber and the paddle system is very ergonomic for the operator offering forward and reverse functionality.